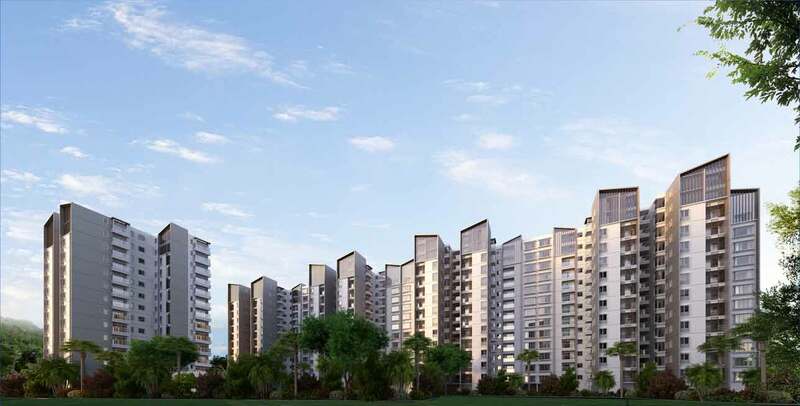 Golden Panorama is a premium residential abode located just off the Kanakapura Road. True to its name, residents of Panorama enjoy uninterrupted, panoramic views of the scenic, undulating terrain around. Built with MIVAN Construction Technology, Golden Panorama offers all the conveniences of urban lifestyle along with the tranquillity your heart craves for. At Panorama, everything you need is much in the vicinity, including Metro rail station and NICE Road. Spread over 5 acres, it features 2, 2.5 & 3BHK luxury apartments and 3 & 4 BHK Duplex apartments. All apartments are 3 side open with no common walls & with 70% of open space. The project integrates high efficient floor plans in convenience sizes and world class lifestyle amenities to make your life so much more enjoyable. It’s the perfect project that offers great value and leaves little to bargain for. And we believe, rightly so, that it will make your life’s picture complete. Golden Panorama offers abundant options to make every day of your life exciting. At Golden Panorama, you are sure to experience refreshing mornings and beautiful evenings every single day. Copyright © 2016. Square Yards. All Rights Reserved.